Before I was married, I believed that marriage was perfect. I thought that if you met someone with common goals, who wanted to make it work as much as you did, then it would. I recall sitting in a shiur by Rabbi Smith at Neve. He was speaking generally about how inherently different men and women are, and how in marriage you basically spend your whole life trying to reconcile those differences. Now, this was coming from a Rabbi that I really admired, and I have to say that it burst my bubble. But it was a much needed reality check, and that moment has since stuck with me. A year or so later, I married my now-husband, Doron, who, for the record, barely matched any of the criteria on my ‘list’. To explain further, in the frum world, once you start exploring your dating options, you are encouraged to compile a list of certain criteria that you would like your prospective match to meet. Needless to say, Hashem clearly had other plans for me, further than what was on my ever-changing list. You see, Doron and I on paper were an unlikely match, but thankfully the shadchan took a chance, went with his gut feeling and set up a date between the two of us. The rest is history. More than two years of marriage has given me much wisdom. My life is not just about ME anymore, but rather about US. I am now a part of something bigger than myself. I am part of a marriage, the most sacred, age-old institution. Our marriage means the world to me, and many a time it involves sacrificing what I want, and doing what he wants. And that’s ok. In secular thinking, marriage involves two people- husband and wife, whereas in Judaism, marriage is seen as a partnership between husband, wife, and G-d. And so when it comes time to make a decision, I have to consider the other ‘parties’ in the relationship. This of course is easier said than done, as when emotions come into play, it is difficult to stay focused. But it is rewarding and so important to carefully consider one’s decisions, and how these decisions will affect the bigger picture. I have learnt that one can read all the books and listen to all the advice in the world about working on ones marriage, and understanding the difference between men and women, but it’s not the same as living it. In truth, while much of the knowledge that can be obtained through various sources can be invaluable, essentially you need two people who are dedicated to the marriage. It is about team work, listening to each others’ needs, and compromise. In theory this is all marvelous, and one thinks ‘so what’s the big deal? Doesn’t everyone want marriage to work? Yet in practice, it is a different reality. We all suffer from a condition called ‘being human’ (that taboo illness that no-one really likes to talk about). We all want to be the best people we can be. We all want to have outstanding middos. And we all want to be perfect wives. In the perfect setting, your husband walks in to the *clean* house from a long day. The table is set, dinner smells amazing, and the baby is clean and happy and gurgly. And then you wake up from this fantastic dream. The house is a mess, you’re tired, the baby is grouchy, and you’re trying to get dinner ready and keep the baby from tearing apart the kitchen, and then its time to bath to baby, but you need to mix the dinner that’s cooking on the stove, but you cannot leave the baby unattended in the bath…. You get the picture right? Thankfully my husband knows and understands that I suffer from this ‘human’ condition (I think he does too. I’m pretty sure of it). I thank G-d for him, with all his quirks that make him who he is. He drives me mad most days, as do I drive him mad, but at the end of the day, we know that we are a team, a very unique team that are ready to conquer the world. One day at a time. Marriage is not perfect, but it is not designed to be as such. Marriage, with the right approach, is about nurturing a union of two souls that have become one. It is about seeing the bigger picture, and knowing that you are a part of something awesome. Shine your light, and be the best spouse that you can be. when I got married I new marriage wasn’t easy. My parents have split up many times, and my husbands are divorced. but yet somehow I still thought it wouldn’t be all that difficult. I don’t think there is anything that can prepare you totally for a future experience. it is not that we are unteachable or unreachable, but that we haven’t the ability to learn completely until we experience. Very well put. My rabbis at the seminary I attended in Israel kept reminding us (after we incessantly badgered them for advice on marriage) that until we were married, the advice wouldn’t be so useful. That we needed to experience marriage to know how and what to work on. I thought the opposite. That it’s always helpful to hear advice about something before you are actually in the situation because it’s easier to take it in, you are not going to be defensive and you can look at it without being biased. I guess it depends on what specific advice you are talking about – I found it extremely helpful to read about marriage before I was married! That’s an interesting point; I hadn’t thought of it that way. Now that I think about it, some things that I put into practice (or blog about) are things I heard either before or at the beginning of marriage. This is a great post! Marriage takes work but it sure is worth every bit of effort invested in it! And btw, I love the picture you put along with this one! and how! WordPress helped me find the picture; I love their picture suggestions. It makes it so easy! Great post. Marriage has its challenges, but if you’re with someone who truly loves you and wants you to be happy, I think you can get through anything. 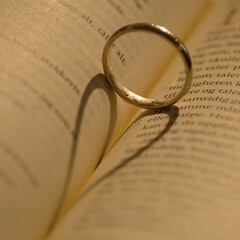 Before I was married, I had attended tons of shiurim and read lots of books on the subject of marriage. I thought that I had a fairly good idea as to what I was getting myself into. Regardless of how well prepared I was, there were still lots of shocks for both myself and my husband when we were first married. Nothing could have prepared us enough for these shocks. Like the author is saying above, it takes adjustment and work. After being married for over a year and a half, marriage has definitely gotten easier. You make a very good point about the difference between theoretical and experiential knowledge. I’m so glad to hear marriage has gotten easier. We’re coming up on five years soon (in December!) and it has also gotten progressively easier, with work and effort to understand and to smooth over our areas of chronic disagreement. B”H, it’s an amazing opportunity for growth.